Regardless of where you are in your research, timelines can prove to be very helpful in many ways. When one combines an individual life with history, it is even better. Adding the historical content often helps a researcher to understand their ancestors actions better. Why people moved as often as they did or stayed in one place as long as they did is often confusing to a descendant researching their family history. To add to this dilemma is the need to add local events also. By doing this, one gets a clearer view of what was going on at the time one's ancestors were there in a particular place. It is usually easy to locate the world wide events but sometimes finding the local events is a bit more difficult. The local public library is usually helpful as well as local newspapers and histories of the area. With all this information you will be able to use the "Timelines" feature in Ancestral Quest to put your ancestor in focus for their time period. The feature comes preloaded with some world events and you can add what you need to in order to provide a better picture of what could affect all that happened during their life timetime. To access the Timelines feature, simply click on the tab called "Timeline". This is a simple view of the top section. Note where it says "Options" in the upper left hand corner? This is where you are able to do multiple things regarding your timeline. Here is where you are able to change colors, fonts, etc. as well as add "Historical Items" to the timeline. To add new historical events or modify existing one, click on the button that says "Edit Historical Items". Notice the "Add" button is there to add additional historical events. You can choose between a genealogical or historical event or even a historical person. Once your addition is filled in, you'll click on "Save" and it will be added to timeline. Creating timelines can assist you in locating individuals by shedding light on what was going on around them. Take advantage of this feature and many more in Ancestral Quest. As we know, in life, not everyone get married, Ancestral Quest has a place to indicate when an individual does not marry. To access this, click on an individual to open up "Edit Individual" which is also accessed from the Edit menu or by using the keys for control and I together. Note there are 3 tabs at the top, "Individual", which is the screen shown, "More", which is highlighted and "Contact". Click on the "More" tab. 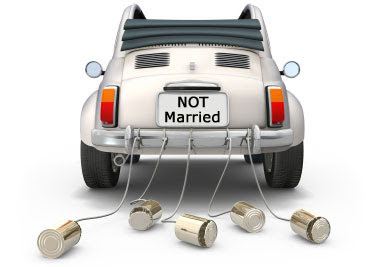 We've highlighted where you can indicate if an individual "Never Married" by putting a check mark in the box. This is great for reports and for when doing research. You can forget if an individual was ever married and do research looking for a spouse only to come to the conclusion you already knew but had not marked at that time. There are also times when a couple have no children and there is a place to indicate this also. Putting the couple in the main location on the 'Family' tab, click on the button marked "Marriage". With the couple in this location on the "Family" tab, click the button marked "Marriage". Note again, there is a box highlight where you can put a check in the box next to "no children". This is also helpful on reports and such so you are not looking for children more than once. Each of the features are available on both Ancestral Quest and Ancestral Quest Basics. These are good features to use to help prevent unnecessary research. Enjoy this and all the features of Ancestral Quest! This sign image copyright Richard C. Moeur. All Rights Reserved. For various reasons we often end up with duplicates of people in our family files and databases. This feature is often used after adding other gedcom files or additional files from a 3rd party to your own files. Other times this occurs is when you accidentally add a family in twice at different times or you are working together with others in a collaborative file and didn't see the original entries, duplicates due happen and need to be merged. Ancestral Quest has a merge function to help you remove these duplicates. Note that it is always a good idea to make a "backup" of your file before beginning to merge in case along the way you start making some errors in your merges. Note this is where you bring up the two individuals to merge. Note that you can adjust a large variety of things to help the software with finding your duplicates. Once you have either adjusted them or left the default settings in place, click "OK" to close this box. Notice the different colors to help you decide if this is going to be a match you merge. The Green represents the first person or the one with the lowest RIN number, the Red represents the duplicate and the Black shows what this individual will look like when the merge is complete. If you are not sure you want to do that particular merge, click the "Next Match" until you find one you will merge. In the case above I was not sure so clicked the next one and that was worth merging. Another way to merge when you know ahead of time who the duplicates are and you have written down their RIN numbers, you can click on the "Search" button under each section, the primary and the duplicate and enter those RIN numbers in. Once they are up and you are looking at them, you simply click on the "Merge" button. While it is common to keep the primary one as the lower RIN number, it is your choice as to which way you do your merges. Once you are finished, simply click the "Close" button and you are back at the main screen of Ancestral Quest. When you first open Ancestral Quest there is using a "Tip of the Day" to aid you in your research. There are hundreds of tips in this group to aid you the researcher. You can access them at any point by simply clicking on "Help" scrolling and clicking on "Tip of the Day", when you do this it will display a tip for you as well as a button to scroll through some of them, one never knows when its the right tip for you. Note the button for "Next Tip" is right there making it easy to slowly work through these. 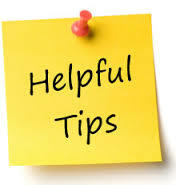 Often they are simple tips to help researches work quicker and better. With so many tips available with a few clicks you may find some that help you with your research and with getting around in Ancestral Quest. Check it out and enjoy these great features in Ancestral Quest!